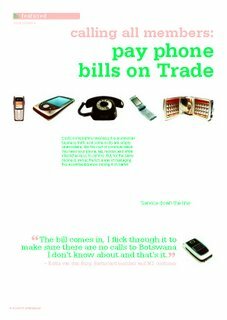 In my new book there is a chapter on the power and profits to be made through bartering and trade exchanges. I am a big advocate of becoming a member of a trade exchange, in particular Bartercard, as it gives you exposure to a completely different economy and a powerful way to increase your bottom line. 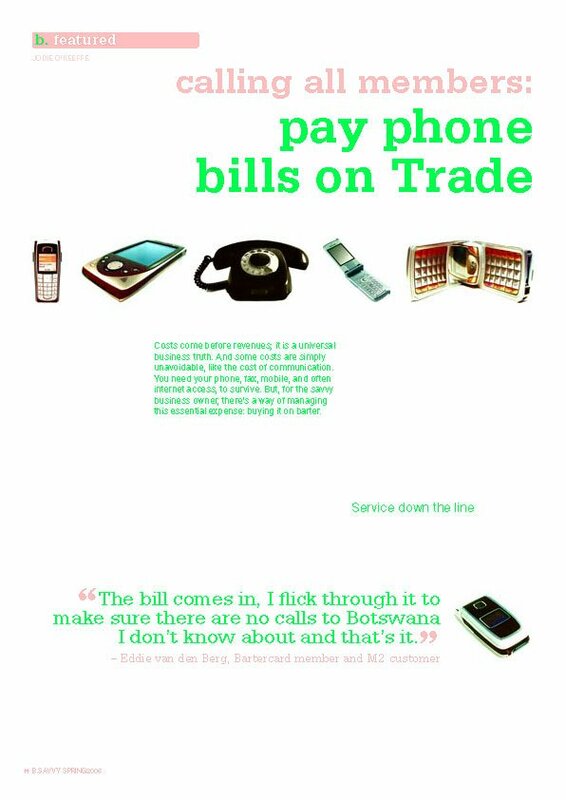 In the latest edition of Bartercard’s monthly magazine ‘B Savvy’, there is a great article on the use of trade dollars towards phone bills, focusing on M2 Barter Telecoms. 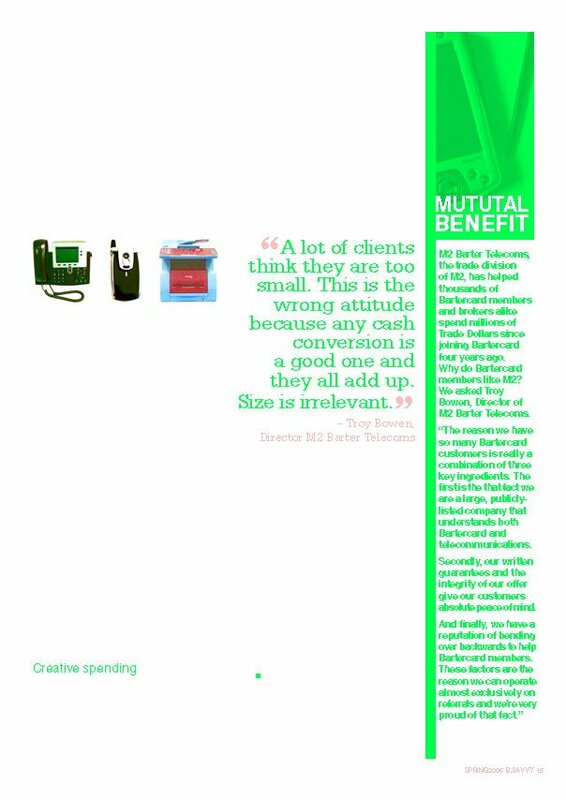 M2 Barter Telecoms is one of Bartercards largest members, and is the work of Troy and Adam Bowen, my partners in On Hold Advertising.